So the other weekend, Sprog free, I had a weekend of debauchery! Ok perhaps not quite in the dictionary definition of the word – but I had a blinking enjoyable non-Paleo weekend – with fine company, fine food and perhaps a couple of G&Ts. 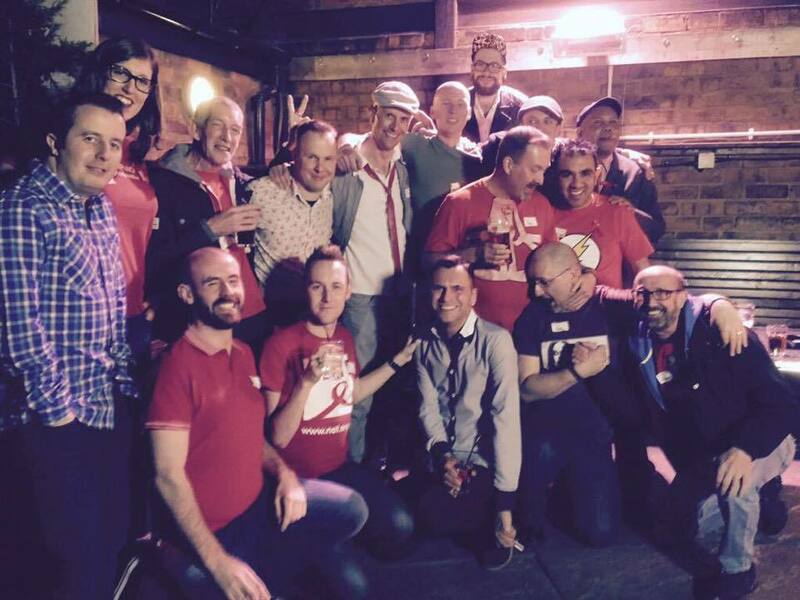 That Friday night was the quarterly beyondpositive #PositivePubCrawl – a social evening for HIV-Positive people to all go out together, wearing red if desired. I rocked up proudly wearing my beyondpositive t-shirt. During the night I met lots of people I knew ‘virtually’ for the first time and also made lots of new friends, while catching up with lots of guys I’d met at a previous event. The evening was a roaring success with over 40+ positive people all ‘pub crawling’ at one point along Hurst Street in Birmingham. I got chatting with lots of people on the crawl – and also lots who were wondering what I was up to. As the sole straight positive female in the group surrounded by hoards of fabulous gay guys – I guess I was, at 6ft3 decked in red, rather easy to spot! Encouraging testing and simply raising awareness of HIV and sexual health, is a convo I’ll never tire of having! The highlight of the evening for me was watching people visibly flourish and find comfort in their own skin – possibly for the first time since their diagnosis. You can never underestimate the struggles that people can experience accepting, confronting and dealing with their diagnosis – and acknowledging what a flipping monumental occasion it is for some to join/attend such an event. Hats off to those who made this step last weekend! The vehicle and platform that Tom Hayes has created in beyondpositive, to support the positive community – is such a wonderful one and I for one, am so very very proud to be associated with it!